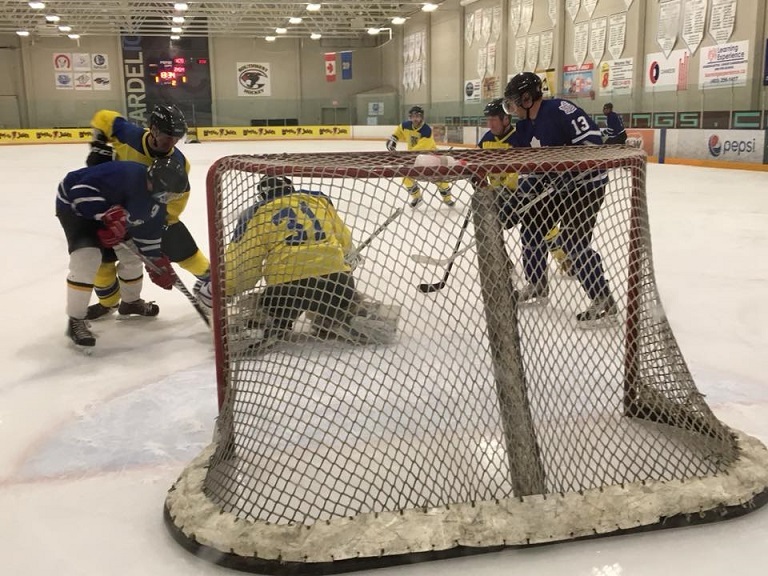 Since September 2006, the South Calgary Recreational Hockey League (SCRHL) has provided weekly ice time schedules, qualified referees, a safe playing environment, and Canadian Adult Recreational Hockey Association (CARHA) liability coverage to players aged 19 and older who are interested in playing weekly, morning recreational hockey in Calgary, Alberta. Since January 2012, the SCRHL has also offered weekend evening games. All players are covered under insurance obtained from the Canadian Adult Recreational Hockey Association (CARHA) when they are registered as regulars or spares in the SCRHL. In addition to regular ice hockey equipment, players must wear some sort of facial protection while on the ice (either a half-shield with mouthguard or a full face cage without mouthguard). Goalies also cannot wear "cat's eye" masks. If non-goalie players choose to participate without facial protection or goalies choose to play with "cat's eye" masks, then any facial injury sustained during a SCRHL game will not be covered by CARHA's insurance. Therefore, players are encouraged to play safe with appropriate facial protection. Most of the individuals who play in this league are in their early-30's to late-40's, however, all of the players' ages cover a broad range from 19 to 55+. Also, the experience level of the players is rather diverse -- from novice to somewhat experienced. So, overall, it's definitely more of a senior league, but the calibre of play is still fun and competitive with an emphasis on good sportsmanship. Basically, the aim of this league is get some exercise, enjoy a game of non-checking hockey without slapshots, make some friends / business contacts, and have fun in the process before you go to work in the weekday morning or pub in the weekend evening.